For many poker players around the world, June and July means the hot desert air of Las Vegas and eight weeks of the World Series of Poker. For those from the Asia-Pacific, early July could mean just one thing – APPT Manila. 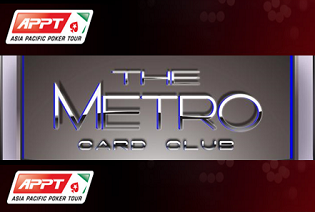 Running as part of the Asia Pacific Poker Tour for the first time since Season 4, APPT Manila will take place from July 2nd – July 7th at the Metro Card Club right in the middle of the capital of the Philippines. The APPT Manila Main Event is a PHP 50,000 buy-in (~AU$1,200) tournament featuring two-day 1 flights and running as a three-day tournament. The Main Event begins at 3:00pm on Friday, July 4th and the final day/table will take place on Monday, July 7th. As is standard on the Asia Pacific Poker Tour, there will be some great side events taking place during the APPT Manila schedule. The first side event is the PHP 10,000 buy-in Manila Cup. 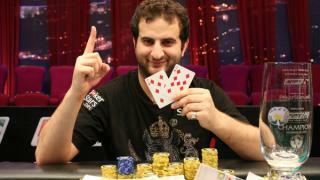 This tournament begins on the eve of the Main Event and runs as a two-day event. There will also be a Teams Event (PHP 20,000), a Knockout Bounty (PHP 20,000) and a Deepstack NLHE (PHP 15,000) throughout the six-day schedule. For those who are eliminated from the APPT Manila Main Event, there will be a PHP 100,000 (~AU$2,400) 100K NLHE 2-Day event beginning late on Day 2 of the Main Event. The last time APPT Manila took place was back in 2010 when the tournament was part of the Pagcor Chairman’s Cup. There were 430 entrants in the larger US$2,700 buy-in event and Binh Nguyen took down the US$260,700 top prize. Prior to Nguyen’s victory, Australia’s Van Marcus (pictured) defeated 285 players back in the 2008 APPT Manila Main Event, claiming US$162,857. In the first season of the APPT, Brett Parise overcame a field of 255 in the APPT Manila Main Event to take home the US$179,775 first-place prize. In the last few years when the APPT has travelled to the Philippines it has taken place in Cebu as opposed to Manila. The sunny beaches of Cebu have always been a popular stop on the tour, but moving the APPT to Manila will perhaps mean more local players at the felt and a bigger prize pool. "The Philippines is where I won my first major tournament so I'm always excited to go back." Said Team PokerStars Pro and APPT Cebu champion Vivian Im. "I love the resort in Cebu but I think that having the tournament in Manila is going to mean a bigger field and more prize money which is great." For those keen to play APPT Manila, we can tell you that there are plenty of online satellites currently running. There are seat-only satellites ranging from $27.50 3x turbo rebuys, $11 3x turbo rebuys and $55 2R1A rebuys, along with $425 freezeouts awarding all-inclusive packages. Feeders into all of these satellites start from less than one dollar! You can find the full 2014 APPT Manila schedule below and more details regarding the venue and tournament rules on the APPT website. Be sure to check back with Poker Asia Pacific for all the latest APPT results, news and more! Also, don't forget that the Asia Championship of Poker schedule was recently finalised and the first-ever Beijing Millions was announced. Make sure to keep your browser locked to Poker Asia Pacific and like our Facebook page, follow us on Twitter, or join our Asia-Pacific and Australian poker forum to stay up to date with all the latest news and results from the Asia Pacific Poker Tour.